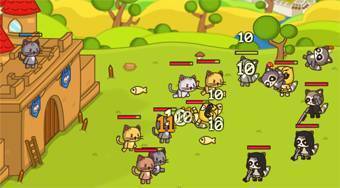 Do you like Strikeforce Kitty: Last Stand? Share it with your friends. Strikeforce Kitty: Last Stand - protect your castle in the cat's kingdom from an army of raccoons hired by an evil king fox.